What is Oat Hull Fiber? Oat hull fiber is an ingredient made by grinding and purifying the outermost protective layer of the oat grain. It consists mainly of lignin, cellulose and hemicellulose and, thus, is considered a rich source of insoluble dietary fiber (up to 90%). With the FDA’s June 2018 ruling, oat fiber was confirmed as dietary fiber within the “mixed plant cell wall fibers” category. Oat is one of the oldest cultivated grains and is believed to have its origins in the Middle Eastern part of the Mediterranean. The crop was brought to North America in the 17th Century by Scottish settlers and is currently grown in the U.S. and many European countries. Cultivated oat belongs almost exclusively to the Avena sativa species (white oat). Newer cultivars are currently bred for their unique functional properties. Emerging research on the nutritional benefits of oat fiber and its contribution to digestive health led to resurgence in oats usage in a variety of foods and beverages. Oat hulls are a valuable component of the oat grain and constitute about 30% of its weight. Compared to wheat (42-47%) and corn (62%), oats have very high fiber content (85-90%) with the hull made up of 86% dietary fiber (DF). Oat hull fiber can be added to food formulations to increase their dietary fiber content, to provide calorie control or to impart unique functionality. In bakery products, it can modulate water-activity and improve water and oil absorption, as well as enhance texture and reduce breakage. Oat hull polysaccharides form complex and intricate fibrils made up of ligno-celluloses (~70%) intermeshed with softer and amorphous hemicelluloses (~30%). These structures are responsible for the unique textural contributions of oat hull fiber in foods and bakery products. Due to its high water binding capacity, oat hull fiber can increase batter viscosity and consistency. Subsequently, leading to reduction in free water and increased starch gelatinization temperature and ultimately delaying the transformation of batter from a fluid, aerated emulsion to a solid and porous structure before the cake sets. 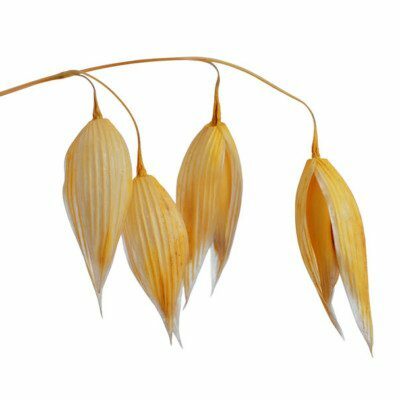 Oat hulls are rich sources of insoluble dietary fiber (~85%) which have a variety of functions. It should be noted that not all oat hull fibers are the same and the process used to isolate them can have a significant impact on their physiological benefits, mainly bulking activity. Using alkaline hydrogen peroxides for extracting and purifying the hull fiber can result in losses of the lignin and other valuable components. Traditional methods for isolating edible fiber from oat hulls use alkaline hydrogen peroxide treatment for bleaching.1,2 Despite the positive effect on enhancing the texture and water absorption capacity of the fiber, these processes lead to partial delignification, thus modifying the composition and behavior of the purified product. Newer mechanical and hydrothermal processes have been developed recently which do not alter the hull’s native composition and preserves its physiologic efficacy. Owing to their high fiber content, oat-hulls are gaining increasing consideration for fortifying food products such as breads, biscuits, cookies, cakes, breakfast cereals, beverages, etc. They are also useful for assisting with texture in gluten-free baking, depending on the production process. Although texture of pound cake and other bakery products can be improved with up to 25% oat hull fiber, optimal sensory properties require that its level should not exceed 20%.3 By absorbing water and lipids, oat hull fiber can help improve cake crumb softness. Ramaswamy Fiber and method of making,1988, US patent 5,023,103 A to D.D. williamson and Co.
Stephen, A.N., Dahl, W.J., Johns, D.M. and Englyst, H.N. Effect of Oat Hull Fiber on Human Colonic Function and Serum Lipids. Cereal Chem, 1997, vol 74, 4: 379-383. TITLE 21—FOOD AND DRUGS, PART 101 –FOOD LABELING, Sec. 101.81 Health claims: Soluble fiber from certain foods and risk of coronary heart disease (CHD). I am an organic farmer, who has certified all our land gluten free. I have set up a oatmeal processing facility on farm. With reference to oat fibre…can I grind the oat hulls that are taken off prior to milling the oats, and the ground oat hulls will make oat fibre? We recommend that our friends from Grain Millers get in touch with you.